Early planning doesn’t hurt; late planning does. With that number of guests, how much food and drinks do you need to provide? What is the theme? How will you decorate the place? Are you throwing the party at home or are you booking a venue? Do you want to hire an entertainer for the party? These are the basic elements of a party. Once you know what the answers to these questions, you can eliminate time pressure by creating a timetable to plan your party. 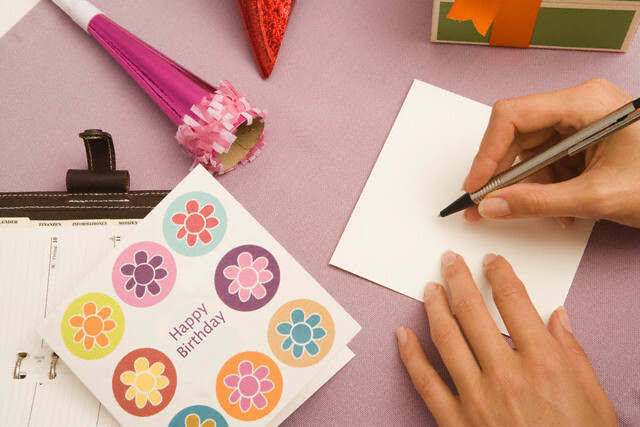 Even if you can remember all the details needed for the party, you are still prone to forgetting some of it once everything piles up. To help yourself remember everything and avoid duplicate efforts, write it all down. Creating checklists is an awesome way of keeping yourself in track by seeing all the work you’ve already done and the other tasks you have yet to accomplish. It removes the vulnerability of forgetting something. List down even the RSVPs, the food allergies your guests may have, the venues you’ve enquired at, so and so forth. One reason why party planning can be stressful is that we want to do a lot of things all at once, and get frustrated when it doesn’t work out. There’s no need to go over the top with the preparations. You don’t need to book a caterer for food choices that can pass as fine dining, nor do you need to decorate the venue with an overwhelming centerpiece and a gazillion balloons. Remember, the main purpose of the celebration is your child and not the elements of the party per se. Keep things simple. A theme will affect your choices in decoration, food, games, and entertainment. Deciding on a theme will narrow down your choices and help you plan more efficiently. Do you want to throw a fairy or princess party? You can use pastel colors to decorate the place. How about a superhero party? Food can be stuck with toothpicks that have a photo of your child’s favorite superhero. As the saying goes, two heads are better than one. Tasks become smaller and lighter when people work together. There’s no need to do everything by yourself. Involve your best friend or a close family member. Yabadoo Kids’ Parties can take a load off your shoulders by taking care of the entertainment. Our wonderfully talented entertainers will even call you a few days before the party to make sure they meet your needs. The kids and kids at heart will surely enjoy what we have in store for you! You don’t need to lift a finger for the entertainment on the day itself. We got you covered. Make time for yourself before the party. Give yourself time to relax, take a warm bath, and prepare for the party on the day itself. Enjoy mingling with your co-parents and seeing your child happy. Just keep alert in case something else is needed. Clean up time doesn’t have to be alone time. You don’t need to pay for a professional cleaning crew if you don’t want to. Your relatives, and friends can help clean up the beautiful after-party mess. It would be a great opportuity to talk about funny moments that has happened during the party. Yabadoo Kids’ Parties is ready to help! We would gladly take on the responsibility of keeping all your guests entertained. Sit back, relax, and enjoy the party! View our party packages and contact us today!